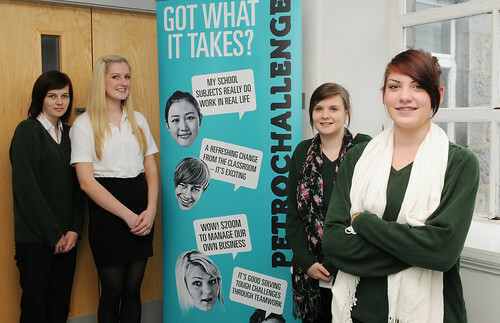 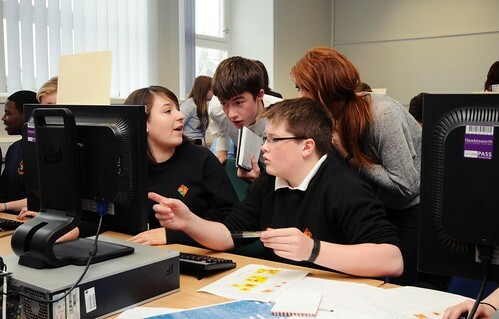 PETROCHALLENGE is an educational event aimed at school pupils aged between 14 – 19 studying maths, science, engineering, geography, IT and business related subjects, to gain first-hand experience of what it’s like to be part of an oil and gas company. 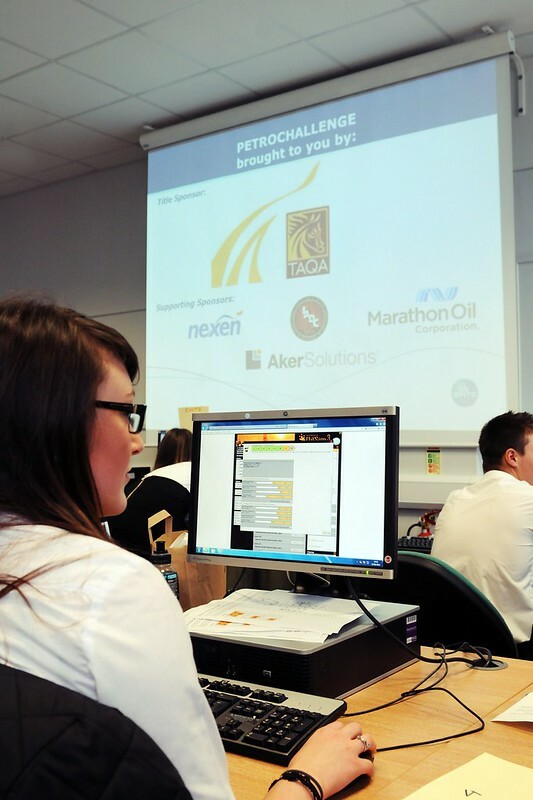 The event uses an innovative web-based learning tool developed by Simprentis where participants act as energy companies looking for oil and gas in a fictitious province, opened up for exploration. 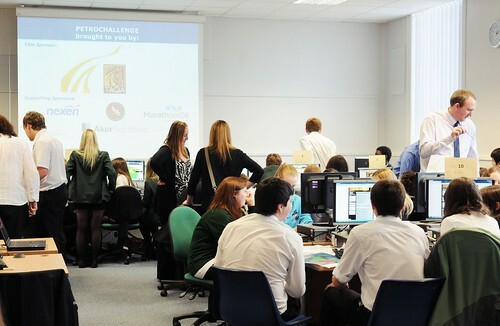 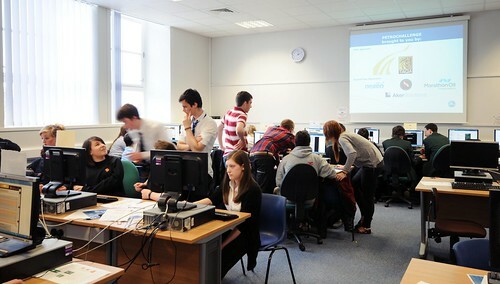 This year the event for Aberdeenshire school pupils was held in the School. 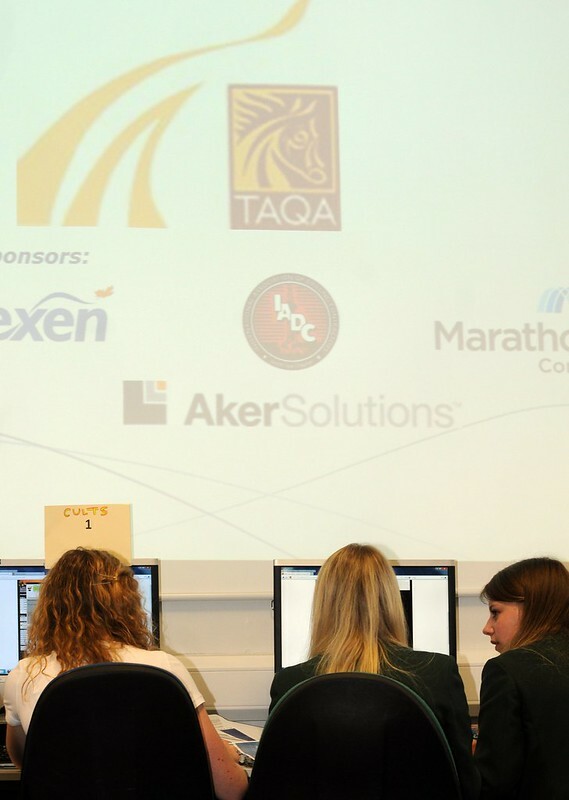 It took place on the 26th and 27th of June and we had a total of 172 school children accompanied by teachers passing through our doors to take part. 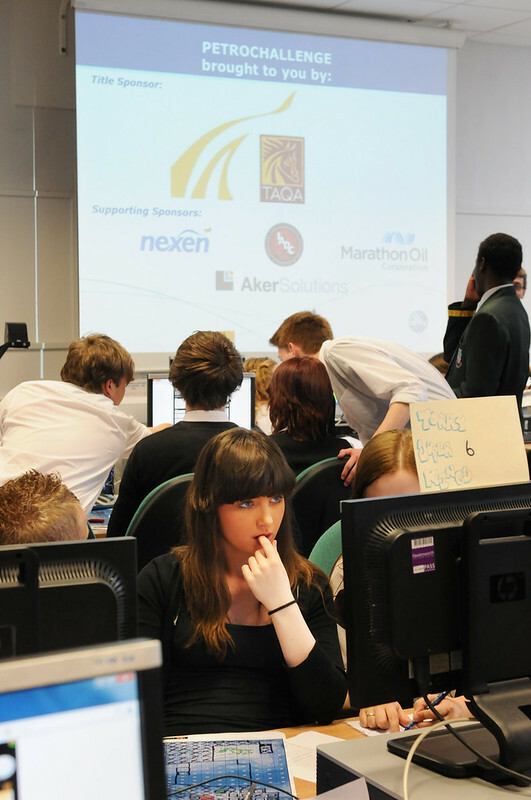 The event was run and organised by industry skills body, OPITO and sponsored by numerous Oil compaines from the North East. 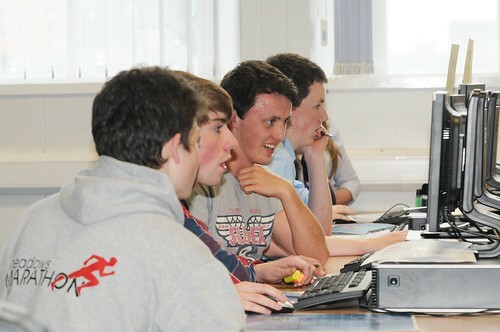 The 26th opened up with the Associate Head of School , David Davidson introducing them to the University and what the School does. 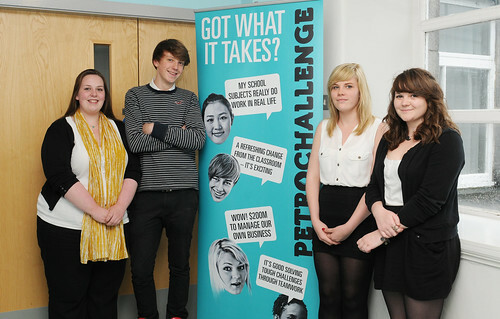 Ben Horsburgh also did a talk near the end on his RGU Experience. 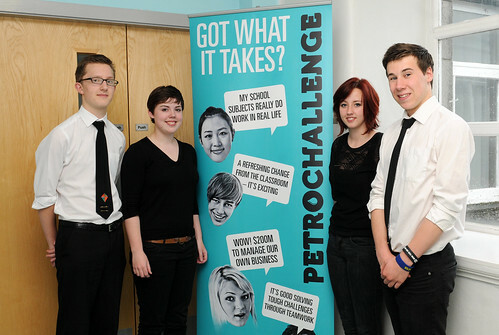 Congratulations go out to Bucksburn Academy who the PetroChallenge title for their school. 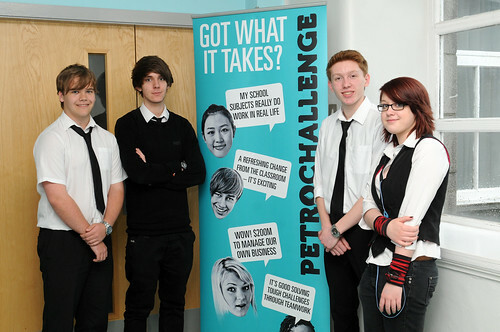 Now they have to wait for the results of the other OPITO PetroChallenge UK events later in the year, to see if they will go forward to represent the UK at the International Final in January. 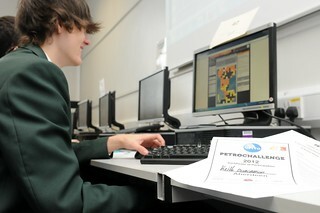 Click here to see more detail and the rankings of the schools who took part.